This is it!! Consistently Voted one of Central Florida's best communities, life in Providence is like waking up in a resort year round. Just under 5 years old, this gorgeous 5 bedroom home is fully updated and move in ready. Freshly painted with premium Sherman Williams, the interior is customized to make you feel cozy and comfortable while still having the size to accommodate you and your family. With an open concept, updated light fixtures, ceiling fans in every room, stainless steel appliances, granite counter tops, and a 3 car garage, what's not to love? Worried about energy cost? This home is eco smart and sports a dual A/C system. This popular Buckingham model has been upgraded with gorgeous porcelain wood effect tile, an office/playroom that could easily be utilized as a sixth bedroom and easily connects to the living room and a full bath downstairs. The owners have fully fenced the backyard and included a custom built bench to enjoy the beauty of the outdoors. Feel at ease at all times with the 24/7 manned and gated security upon entering the Providence community. Be a part of this master planned neighborhood where the golf course, country club, Olympic sized pools, fitness centers, and playgrounds are just moments away. You will want to see this home in person! Lot Size: 0.16 Acres / 7148 Sq. Ft. Directions:From Lake Wilson Road, Go to Ronald Reagan and take a left. Follow to 17-92 and take a right. Providence will be on the left.Turn right on to Lakeside Villas. Take 1st roundabout on to Lake Side Ave, home is situated on the right. SchoolsClick map icons below to view information for schools near 1478 Lake Side Avenue Davenport, FL 33837. MFRMLS data last updated at April 20, 2019 10:04:03 AM PST. Home for sale at 1478 Lake Side Avenue Davenport, FL 33837. 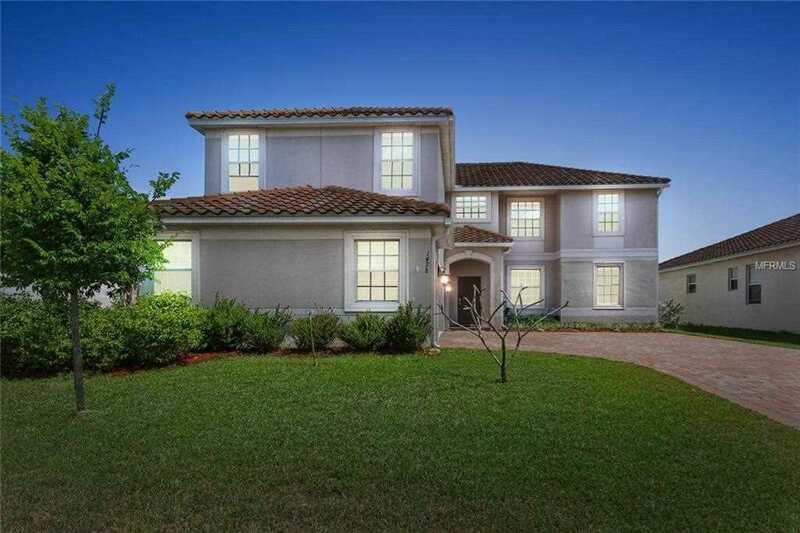 Description: The home at 1478 Lake Side Avenue Davenport, FL 33837 with the MLS Number S5013433 is currently listed at $345,000 and has been on the Davenport market for 68 days. You are viewing the MLS property details of the home for sale at 1478 Lake Side Avenue Davenport, FL 33837, which is located in the Providence N-4 Rep subdivision, includes 5 bedrooms and 3 bathrooms, and has approximately 3674 sq.ft. of living area.